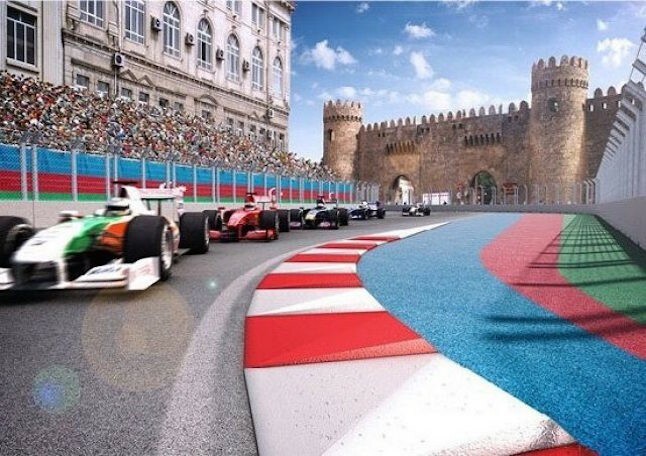 An artist's impression of the new Baku European Grand Prix street. 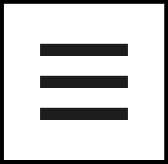 Credited Hermann Tilke-designed. On the eve of a new season, a circuit has been added to the Formula 1 calendar which may attract the attention of ardent racing fans for numerous reasons. 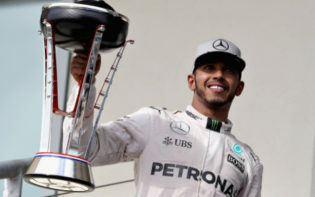 Situated in the Middle East the race may add character to the Formula 1 calendar. With new circuits needed to add interest to the sport, the street circuit in Baku, Azerbaijan, may achieve this and showcase the best of the city. A mixture of new European and Middle Eastern architecture and historic buildings like the Maiden tower may provide an exotic backdrop to the race. 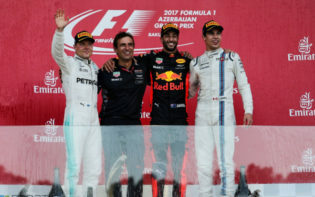 Given the honour of being the European Grand Prix although the city is actually part of the Asian continent, Baku may embody the multicultural influences apparent in many cities in this region. It may have been linked to the origins of the motor racing industry being an important oil producer historically. In the early 1900s Baku was an instrumental part of the world’s first oil producing region producing around half of the world’s oil in 1901, however with other more easily accessible oil sources the city lost its significance. Yet in the last few decades the city has had a second heyday due to offshore discoveries bringing untold wealth to the region. With its strong links to The West and Europe, hosting a Formula 1 race may be a result of a lasting legacy between The East and The West. Previously hosting the FIA GT races in 2013 and 2014, the city has a measure of experience which may support the F1 event when it arrives in town, although the track layout is different for the F1 race. Motor racing fans seem to have an affinity for street circuits, invoking the memory of the street circuits like Monaco, Spa, Adelaide and Montreal, open wheel racing on Baku’s streets at dusk may produce original and absorbing performances. The track has narrow sections around the 12th century Maiden tower, cobbled road’s to be covered with asphalt and includes lengthier stretches in comparison to the GT layout where top speeds may be reached, the design means the track will be the second longest F1 circuit (3.732 miles) after Spa. The back straight of the circuit sits on a dual carriage way, wide and maximising the chances for overtaking, the circuit appears to have its own unique distinctiveness and character because of this. 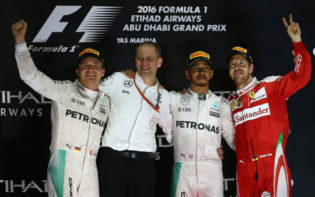 The F1 race may attract greater crowds and higher international TV viewing figures than the FIA GT series, gratifying local governments looking to promote the city and boost tourism. 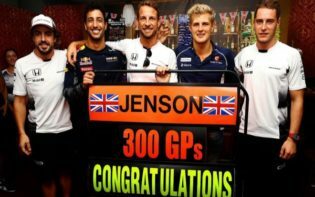 For the 2016 season, there are slight changes to the rules; recent changes to qualifying being the most striking, with many drivers believing the previous qualifying structure was acceptable. Qualifying now unfolds in a knock out style, the first section aims to last for 16 minutes, the last driver in terms of pace being eliminated after 7 minutes and then every 90 seconds until 15 cars remain. The second and third qualifying sessions follow a similar pattern; Q2 until 8 drivers remain and Q3 until pole position is decided. This season may be the longest ever beginning on March the 20th in Australia and ending in Abu Dhabi on the 27th November, the teams have made modifications to the cars, a new team has been formed named the Haas F1 team by Gene Haas a former NASCAR team owner and a fifth tyre compound aims to be introduced known as “ultra soft” available only for street circuits. The Inclusion of Baku into the Formula 1 calendar has come at the expense of Valencia the previous European Grand Prix host, the Korean Grand Prix also forfeiting its rights to host its annual Grand Prix. Prospectively, the city of Baku may appeal to racing fans with an affection for street circuits, whether the circuit may work and produce enthralling races will become more evident after the race weekend, however the potential does exist for a special race in a unique location. Which other influential cities may be ideal to host a Formula 1 race?